This was what my family and I ate the other night. It was a delicious almond crusted chicken with a creme sauce on top! 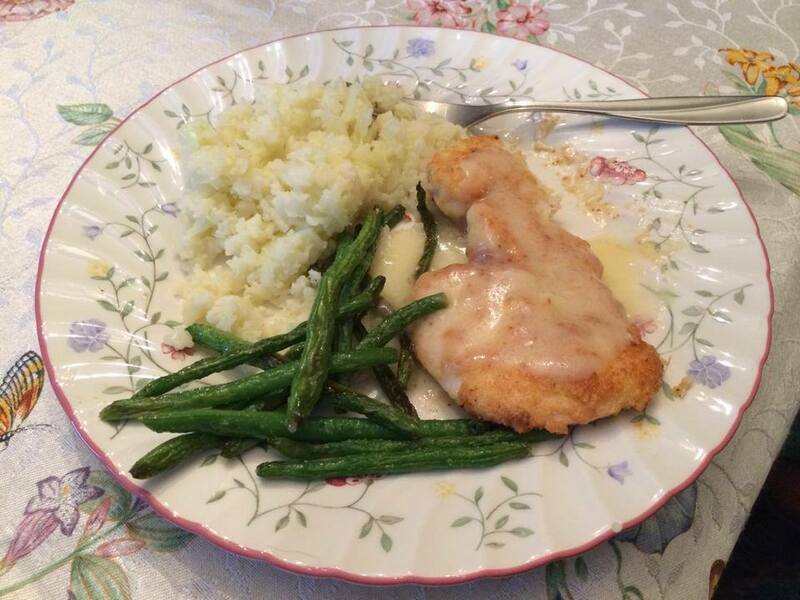 We had the chicken with a side of saute green beans and mashed cauliflower. Cut chicken into thin slices to make 6 pieces. Mix 2 eggs in a bowl. Dip chicken in egg mix and coat with almond flour. Cook with 1 tbsp butter and 2 tbsp of olive oil. Cook over stove top on medium heat until browned on both sides. Melt 1/2 stick of organic butter over medium heat. Add juice from 2 squeezed lemons. In another bowl mix 2 tablespoons of spelt flour with 1 1/2 cups of hot water until smooth. Mix water and flour mixture into warm butter and lemon juice over low heat until combined and warm. Can Sleeping Help You Lose Weight?